Six volunteers took on Interact's latest Interaction Day at Kentish Town City Farm. 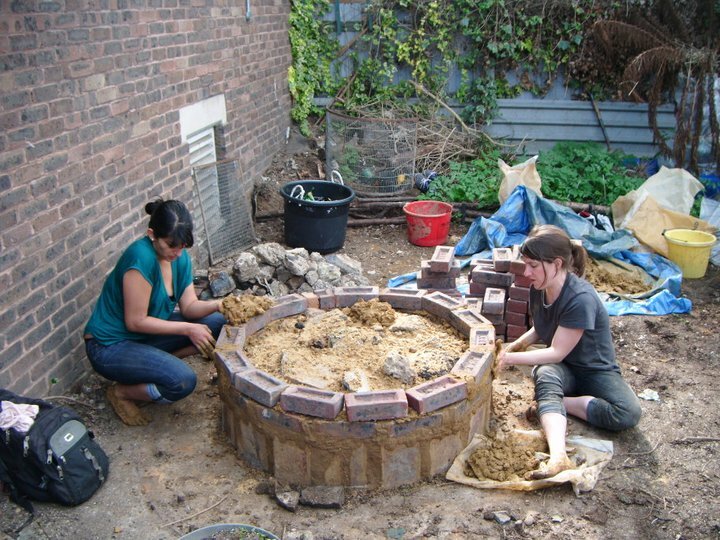 The day was lovely and we helped artist Rachael Champion of 176, a Camden Town Gallery, in building the foundations for a working cob oven (made from traditional building material such as clay and hay). The finishing touches to the oven will be made as part of a week long workshop with local children in their Easter holiday. "It was a lovely day and we spent it moving rubble and digging mainly - while Rachael got messy making cob the traditional way!" For the next Interaction Day keep an eye on Interact here on the website or on i-volunteer, Facebook or Twitter!